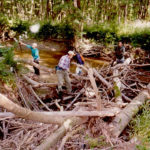 Is woody debris a problem? Many people believe large woody debris is a big problem for the river. 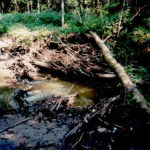 Most believe logjams are the cause of erosion and result in property loss. In most cases woody debris is not a problem. It just appears to be since it is very visible and collects trash and more wood. There are many benefits to having large woody debris in rivers. Wood helps to slow down the flow of the water and, when managed properly, actually reduces localized erosion. Wood provides habitat for fish and invertebrates living in the stream. If wood isn’t the problem, what is? The Rouge River is known as a flashy river due to the rapid rise in water levels every time it rains. This is a result of the amount of impervious land cover (parking lots, roads, houses and buildings) that exists in the watershed. When it rains, water falling on homes, buildings, parking lots, etc. has no place to go so we send it through sewers to the river to prevent flooding on our streets and in our neighborhoods. Even a little rain causes water levels to spike and rivers and streams overflow their banks. These high water levels are the cause of erosion, poor water quality and degraded habitat. 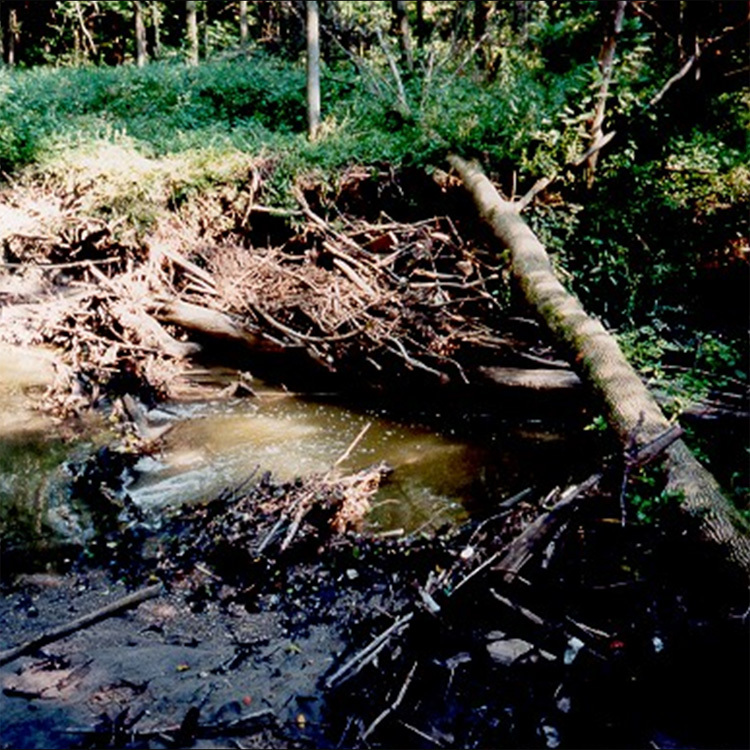 Woody debris can be managed to reduce erosion and provide fish and wildlife habitat. Refer to the Woody Debris Management 101 – Clean and Open Method for instructions. As long as none of the wood is embedded in the stream, no permit is needed to manage it. More extensive management requires a permit from the Michigan Department of Environmental Quality. For more information on this level of management, refer to Woody Debris Management 201 – Habitat Structure Method. 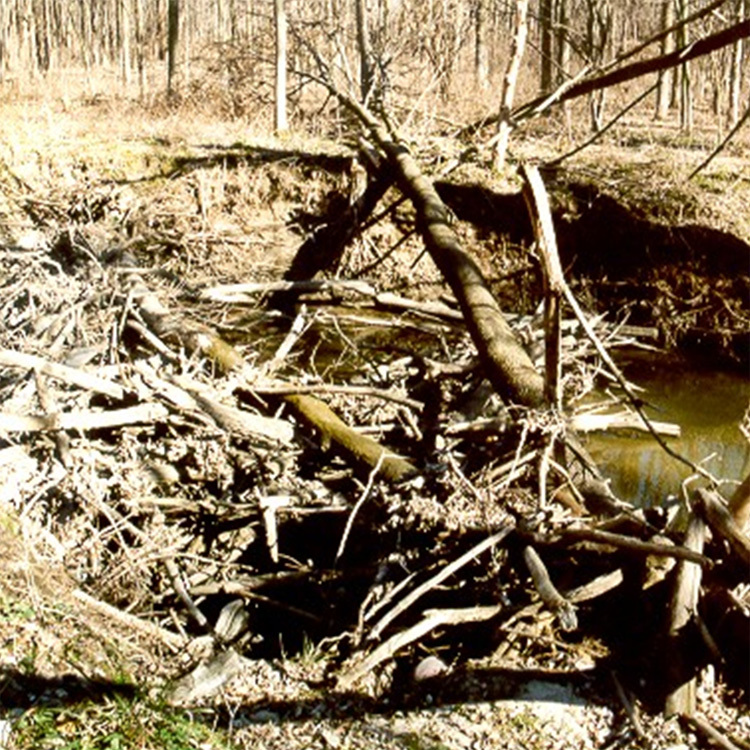 You may also refer to Field Manual on Maintenance of Large Woody Debris for Municipal Operation and Maintenance Crews produced in Macomb County. Homeowners can reduce the amount of rain water leaving their property by installing rain barrels or rain gardens to collect water from their homes downspouts. Rain barrels provide a free source of water for watering gardens around the home. Rain gardens are designed to hold rain water for 24 to 48 hours. They are slightly depressed and planted with native vegetation that is adapted to fluctuating water levels. Rain water evaporates, is used by the plants or infiltrates into the ground rather than flowing to the river. 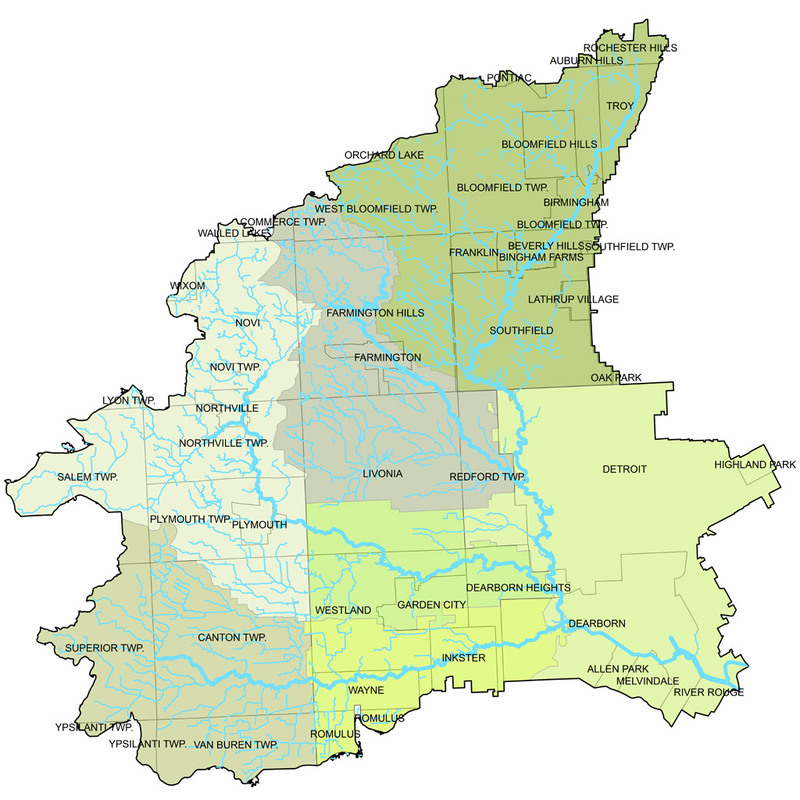 Who is responsible for maintaining the watercourse? 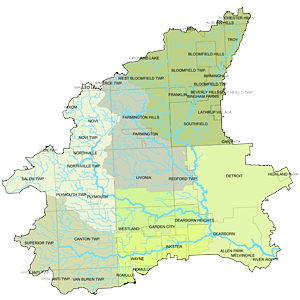 The responsibility for maintaining a stream or river falls on the landowner. 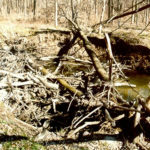 Landowners are not required to manage woody debris on their property. 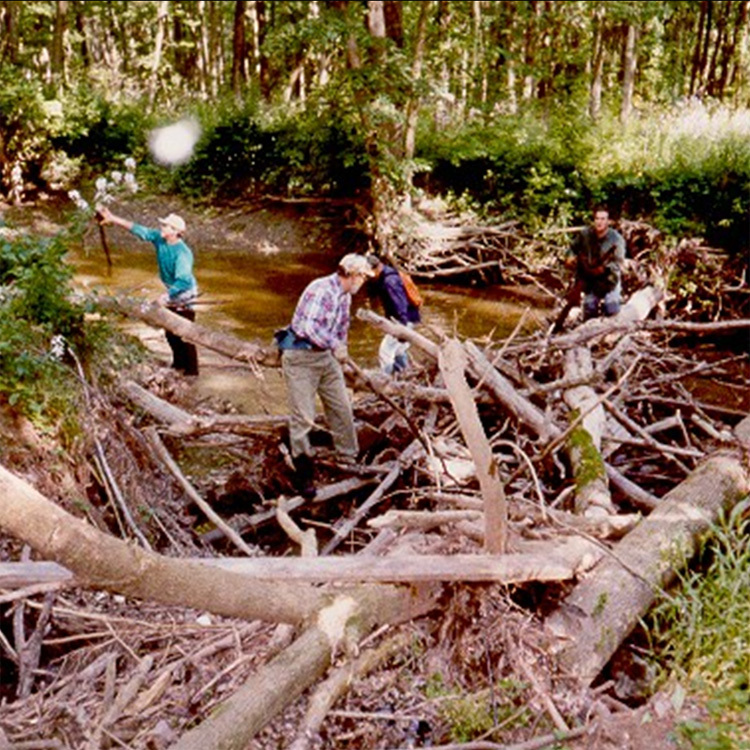 Work that involves moving wood embedded in the streambank or the streambed requires a permit from the Michigan Department of Environmental Quality Land and Water Management Division (MDEQ). Any work altering the watercourse also requires a permit from the MDEQ. Contact the MDEQ for assistance if you are unsure if the work you wish to do will require a permit. Floating wood and trash may be removed without a permit.